Oh my god I hate it all! I feel literally no enthusiasm for anything in my wardrobe right now. Okay minus my new JasperLiving shorts set, but that’s it. The last time I felt such intense ‘burn it’ emotion towards my clothes was aged twenty-one after a gap year backpacking around Australia. I never wanted to see them again. We’d spent too much time together. It was over. On reflection there are more than a few similarities between my situation now and then. Here I am 20 years later approaching the end of a 15-month sojourn living in Bali with my husband and two young daughters. It has been the most amazing, life-changing experience, not quite the same amount of Jaegermeister shots, but I am definitely different to who I was leaving our Brighton home twelve months ago. So I guess its a good thing to feel this rut, because I’ve helped enough clients out of theirs to know that a style rut means I’ve moved on. There’s been an internal shift and the old clothes and accessories – the ones I loved so much that they made the final suitcase edit – no longer fit the person I feel like inside. I get super excited when I meet a client in this position, because it’s a sure sign of internal change and bringing the outside and the inside into balance is like embarking on a new adventure. Granted, that change is rarely as much fun as a year of creative noodling on a tropical island. Relationship splits, bereavement, ill health, parenthood, moving or changing career all appear frequently on my new client questionnaires. Sometimes nothing dramatic happened, time simply passed and one day you looked in the mirror and thought, “nah!” Whatever the circumstances you are in the process of personal transformation (yes you are that fabulous!) and that is something to celebrate. So how to get out of it? 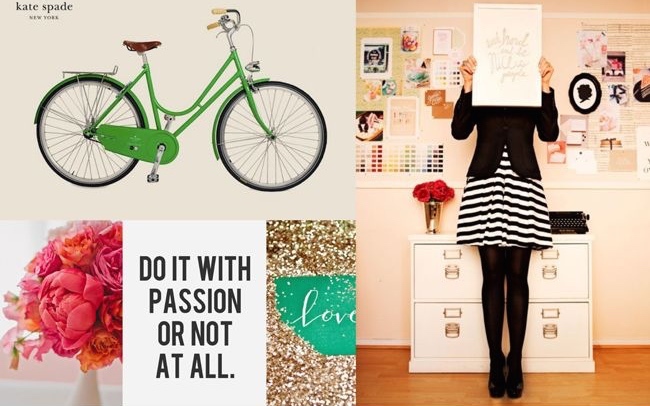 Have a style adventure! Don’t go anywhere near the shops until you taken sometime to reflect on where you’re at and how you want things to be going forward. Here’s a great little exercise I get all my new clients to do. 1. Give yourself an hour to flick through a stack of interiors and lifestyle magazines. I suggest a mix of interiors, lifestyle and fashion. There is no need for them to be up to date. 2. Every time an image grabs you, cut it out. Don’t analyse why. Don’t choose things that you actually want to buy or that you think would ‘suit’ you – that way you’re censoring the creative process before you’ve even started. Just cut out whatever makes your heart sing. 3. Now look at all your cuttings and scribble down anything that strikes you about the images you’ve chosen. Are there any common denominators? Is there a lot of colour and print or a distinct lack of? Does it look energetic or calm, busy or stark, modern or vintage? How do certain images make you feel? Do any of them seem to represent something to you? did you cut out any words or phrases? Are you surprised or perplexed by any of your choices? Write it all down. The simple act of writing down your thoughts helps to make sense of these seemingly random cuttings. You may be surprised by how clear the message is if you trust your instincts. 4. Finally stick your cuttings onto paper and keep them so you can continue to ponder and be inspired by your ‘mood board’. Don’t worry if it seems messy or jumbled. It doesn’t matter. Its a creative process, not an end product, just like change feels when its happening to us – usually messy and unpredictable. I like using A4 printer paper which I can just file away or stick on my study wall, but I’ve received ‘mood boards’ in all kinds of formats, from sleek presentation binders to one on the back of a cereal packet. Which I LOVED! You can also use Pinterest, Tumblr, Polyvore and a whole host of tech wizardry, but I’m kinda an old school purist when it’s about getting out of a rut. There are many other factors I consider when creating a new look for a client, such as body shape, colouring and lifestyle, but this little exercise is always my starting point to understand each client’s unique authentic style. I hope this helps you see the “style rut” as less of failing and more of an opportunity to create a look and life that inspires you. I’ve had my fair share of style ruts and hopefully I’ll have many more. Each time, I bring myself back to this simple exercise which always guides me to create a look way more inspiring and authentic than just updating the contents of my wardrobe. Have you ever been in a style rut? Were you successful in lifting yourself out of it? Please share you experiences and advice in the comments and if you tried my little ‘mood board’ exercise I’d love to hear how you got on. Every stylish has their own ‘thing’ that kinda trademarks their work. Some bring a sexiness to each look, some androgyny, some tend towards minimalism or layering or a retro vibe. I never had one. I mean I have elements that remain constant within my own personal style, but in my professional capacity I never had a trademark look and early in my career this bothered me. I felt it indicated a lack of strength somehow that I wasn’t stamping my mark everywhere. I couldn’t choose one look that I returned to again and again. I was interested in them all. Now, I see how this apparent lack was actually my strength. I love to play with colour and texture and mash up references like all us stylists do, but it doesn’t sustain me without a person at the centre. Not a model or a celebrity ‘brand’, but a many layered person with an emotional stake in their style. I loved and still appreciate the creativity of fashion styling, but I was bugged by the feeling that I wasn’t helping anyone until I fell into personal styling. Thank god for the Patricia Field’s and Grace Coddington’s of this world. They make life so much more beautiful and inspiring, but my gift, I now realise, is enabling people to express their own authentic style in a way that is as beautiful and inspiring as any fashion spread. If they come out the other side feeling more connected to their own uniqueness and beauty, that gives real meaning to my work. 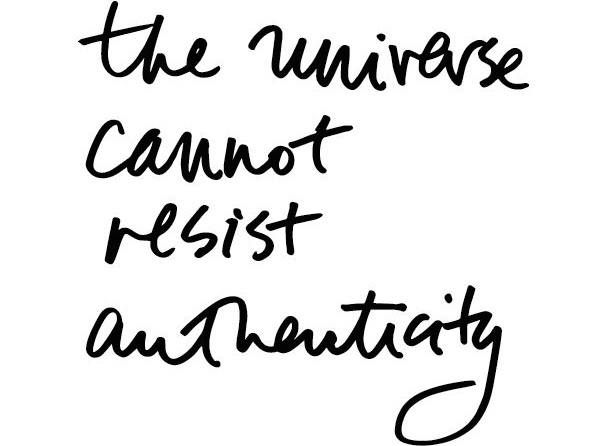 So I guess my trademark is ‘authentic’ style and that feels good to me as authenticity is one of my core values. When we’re authentic we live in line with our own values and are more likely to follow our own path. Success, personal or professional, based on being authentic, feels deeply satisfying as opposed to the ‘empty success’ of achieving what we thought we ‘should’ do or be in life. Being yourself rocks! Approaching how we dress from a place of authenticity is a great way to stay connected to who we are right now as we evolve through each stage of life. We need to know what suits our body shape and colouring and it’s fun to explore new trends and be inspired by beautiful design, but doing it all from a place of “Is this me?” is key. Authentic style can help us stay self aware and live life according to our own values. Its much more fun and satisfying than following a formula or style dictat. Authentic style is inspiring. Every style icon has authentic style. 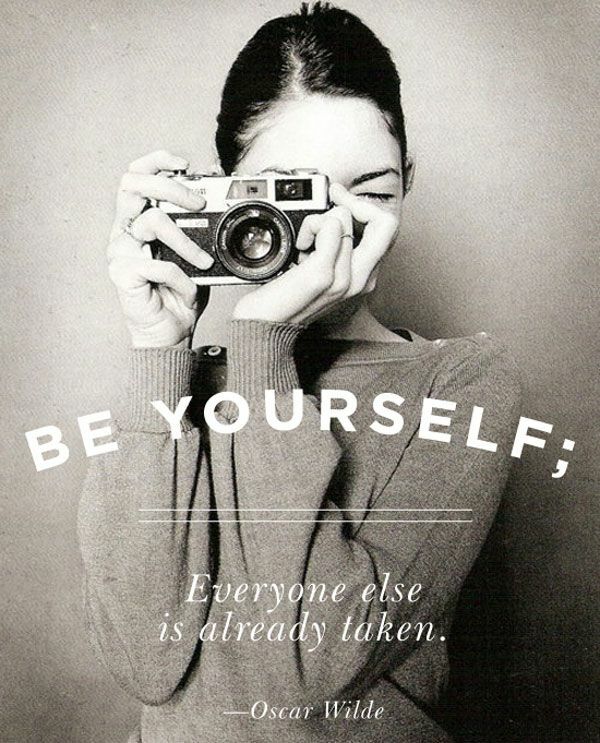 Being yourself inspires others to be themselves too and the world becomes a more interesting place. I hope this has given you some insight into authentic style and why it matters. When have you felt your most ‘authentic’? Have your most outwardly successful moments been your most inwardly authentic? I’d love to hear your thoughts.